TONY PITT’S ALL STARS ‘blew everybody minds’ here at Farnborough Jazz Club on 18th October 2013. TONY (banjo) obtained those brilliant stars, DENNY ILETT on trumpet, ADRIAN COX on clarinet, DAVE HEWITT on trombone, PETE ‘Dave’ BAKER on double bass and JOHN ELLMER on drums. Howzat! I said last week that we were definitely in for an exciting evening of jazz. What an understatement! I have to tell you they were so much more than brilliant, well Ken in the audience said to me, and I quote “There is only one word for it, matchless! Then he said” unbelievable”, that’s two words Ken. Tony chose to put this line-up together for the first time and pretty amazing they were. I will not decry the previous bands or line-ups, but together were certainly among the crème de la crème. Those of you who witnessing the evening, please post your comments on our website. It would show my darling Keith (who is a Luddite) that you ARE reading these newsletters. Hmmm, are you? Just in case you are reading this, let me remind you of some of the numbers played. They started the evening with that rip-roaring number called ‘Jazz Me Blues’. Not sure why it should have been called a blues, it is such a happy number. ‘Original Dixieland One Step’ had brilliant solos. First solo by Adrian was incredible, but then each in turn came Denny, Dave and then John (all incredible too), all backed by Pete and Tony – fantastic. Denny sang the next number ‘When Somebody Thinks You’re Wonderful’ loved by plenty of dancers. Adrian sang the next couple of songs ‘Nobody Loves You When You’re Down and Out’ and ‘The Curse of the Aching Heart’ (nearly fainted dancing to it – hmmm getting old – who said that!). ‘Panama Rag’ was another amazing number (I didn’t want them to stop playing it), followed by another old standard called ‘When You and I were young Maggie’. I managed to film next couple of numbers. The filming is very dark (club atmosphere) and the music is never as good as being there ‘live’, but still great for a memory boost. First number captured was ‘Shimmy Like my Sister Kate’, sung by Adrian. Then ‘Bad Penny Blues’ featured Denny on trumpet, he also sang, plus played mouth piece only, what a talent. Then came ‘Blue Turning Grey Over You’, ‘South Rampart Street Parade’ and ‘When the Saints Go Marching In’. There was plenty of dancing throughout the evening and that says it all, so don’t be shy if you want to join us and enjoy yourselves, it doesn’t matter how well or badly you can dance, we don’t watch you, were too busy dancing ourselves. Of course all are welcome, don’t stay lonely at home, we have such fun. Keep jazz ‘live’ in Farnborough! N.B. Sorry, still not able to download videos, it seems they are too long – I will try to find a way at a later date! This entry was posted in Tony Pitt's All Stars on October 23, 2013 by Diane. GOLDEN EAGLE JAZZ BAND returned to Farnborough on Friday, 11 October 2013. The band consisted of leader KEVIN SCOTT (tenor banjo, MIKE SCROXTON (trumpet), ALAN CRESSWELL (clarinet), ROY STOKES (trombone/vocals), MIKE BROAD (double bass) and PETE JACKMAN (drums). I mentioned last week that I peeked into their website, to check name spellings (www.gejb.webeden.co.uk – click on ‘Home-The Golden Eagle Jazz Band’). I had forgotten we posted a comment to the band. Most likely adapted from our own website, but temporarily lost, so you must check it out to remind yourselves of their first evening here! I did say ‘You came, you played and you conquered’. Well I have to say they did it again. There was so much dancing going on, with so many smiling faces. Well done again boys. Anyhow, here is a smattering of some of the tunes played. The first number I jotted down was ‘Isle of Capri’, a lovely tango, yes of course dancing took place. Our line-dancing was enjoyed with the next number called ‘I Scream, You Scream, We All Scream for Ice Cream’ sung by Kevin. The next number ‘In the Sweet By and By’ was sung by Roy. It has such a happy beat, so once again plenty of dancing. Dancing continued to take place with ‘One Sweet Letter from You’, which again was sung by Kevin. That lovely number made famous by Harry James & Frank Sinatra, which again brought on the dancers, was ‘Ciriciribin’. Next came ‘I Thank You Mr Moon’ which was sung by Kevin. He is marvellous on the ‘mike’, introducing the tunes and telling short funny jokes. However, I must tell you of the weirdest of things when he introduced the next number called ‘Smile, Darn you, Smile’. Before they started playing it, Kevin mentioned W.C. Fields and told us one of his famous many quotes. By sheer coincidence, I was working on the internet that morning, ‘hit’ on W.C. Fields somewhere, saw this actual quote and read it out to Keith. W.C. Fields had a wicked sense of humour! The quote was ‘Start every day off with a smile and get it over with.’ (Kevin emulated WCF’s voice too). How weird is that, for Kevin to choose that particular quote, there must be billions of quotes over time, from all of history’s characters from all 4 corners of the world (dom dom dom dom)! To continue … the next number was also sung by Kevin, called ‘It’s a Long Way to Tipperary’. Of course the audience naturally sang, plus again there was plenty of dancing going on. I filmed their last two numbers, which were ’Collegiate’ and ‘Walking with the King’. ‘Collegiate was a new one on me. I found out it was written back in the 1920’s by a couple of students. They had not set up a copywrite, but had been playing it on campus with their own band ‘Jaffe’s Collegians’. Fred Waring was booked to play at their Uni’s Annual Ball and was requested to play it. When he heard of the students, he met up with them and set about sorting their copywrite. Then recording the song with his own band ‘Pennsylvanians’ in 1925, making it a hit number, reaching No 3. Hopefully, our recordings will be good enough to put both numbers on the website, because they were great to hear ‘live’. 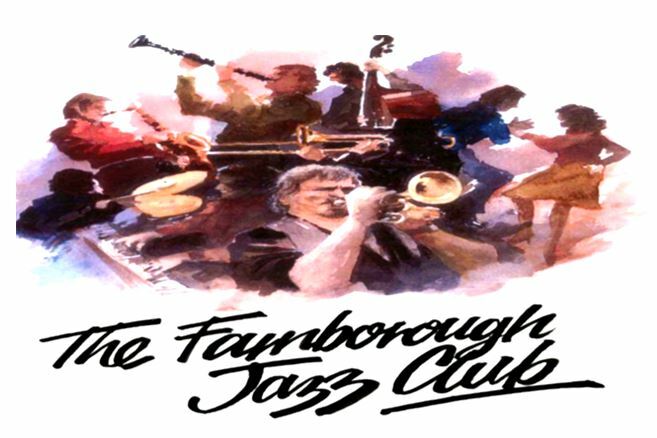 Weather is pushing us into the winter months, so keep fit and well, so we can enjoy your company, especially at our Farnborough Jazz Club here in Kent. This entry was posted in Golden Eagle Jazz Band on October 16, 2013 by Diane.